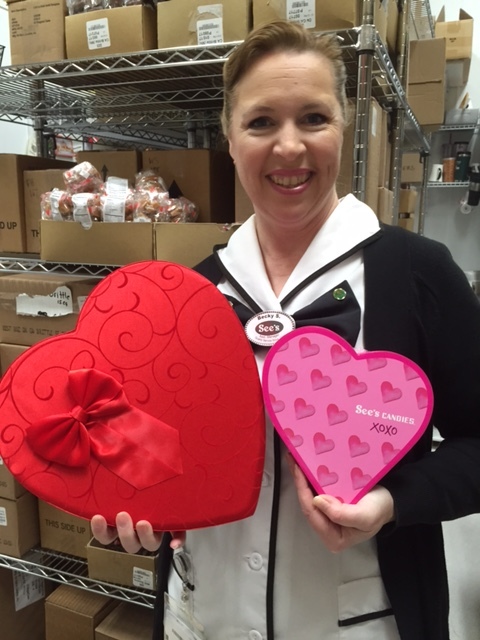 From sparkling wines to See’s Candies, UFCW members have been hard at work to make sure people in communities across the country have a sweet and memorable Valentine’s Day. Members of UFCW Local 5 who make See’s Candies craft each chocolate confection by hand. More care and expertise is needed than you might think to make sure each piece comes out just right. The Food Network’s Tyler Florence received a warm welcome from UFCW Local 5 members at the See’s Candies factory in San Francisco and got a peek at how these Valentine’s Day treats are made. You can view the video here. You can pair your box of See’s Candies with sparkling wines made by members of UFCW Local 186D, including Andre Champagne, JFJ Champagne, Tott’s Champagne and Wycliff Champagne. A special champagne cocktail recipe that’s perfect for Valentine’s Day is available here. UFCW members also have access to exclusive discounts for Valentine’s Day gifts, including jewelry and spa and wellness gift cards. Members can also save $15 or more at restaurants nationwide. Register here for these discounts and make someone’s Valentine’s Day special.